There may come a time when it becomes uneconomical to keep repairing your roof and so instead you will require a new roof, otherwise known as a re-roof. If you think you might need a re-roof, contact us today and one of our qualified local roofers in Surrey will pop over and give you an honest assessment. New Roof, Carshalton. Redland Farmhouse Red Plain Roof Tile. 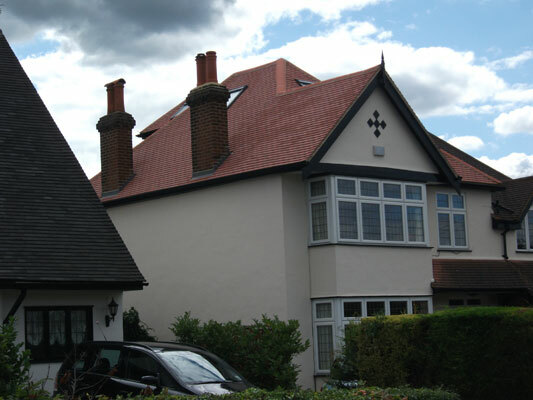 Atlas Roofing has experience re-roofing all styles of roof in Surrey and London, whether you have a flat roof, pitched roof or any other. Also we can add in flat roof windows or Velux Windows. During the re-roof, firstly we will put the scaffolding up. Then we will strip the old roof tiles for you, felt and batten the new roof and then tile or slate the new roof.